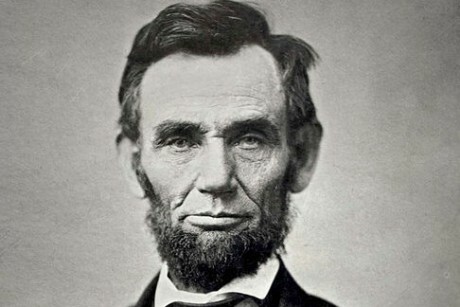 You know you have nothing when your only ploy to sway Black People to vote for your party is to play the 'Abraham Lincoln freed the slaves' - card. Well that's exactly what an ad in Ohio is purporting to do. The ad hopes that by telling black people that Abraham Lincoln was a Republican it can somehow get black people to support Republicans. You know because Lincoln freed the slaves stuff like that. Nevermind that was over a hundred years ago, black people should just be happy that Republicans did that for them. Sheesh...what else do you folks need! If Abraham Lincoln and the Civil Rights Act are the most current evidence you can offer as far as the Republicans benefitting black people, then I don't know what to tell son. With just days to go before the election, one super PAC ad running in Ohio makes a rather unique argument for why black people in the state should vote Republican: Abraham Lincoln was a Republican, too! It's a terrible ad all around, including the production. It looks like it was thrown together in about 2 seconds. Apparently that's all the GOP thinks we need...a crappy ad, slavey abolished and a civil rights act. That's good enough for blacks right? We don't need anything else...this is so stupid and desperate that it is laughable.